As you’ve come to expect, here is OMG! Yummy’s Saturday edition of French Fridays with Dorie. What a gem this recipe is – especially for Halloween weekend and Thanksgiving just peeking around the corner. A Pumpkin Stuffed with Everything Good from Dorie Greenspan’s cookbook Around My French Table is a home run of a recipe. As usual, Dorie’s story-telling and cooking instructions are fascinating and exact. And what a show-stopper this could be for a fall dinner party or your Thanksgiving table. 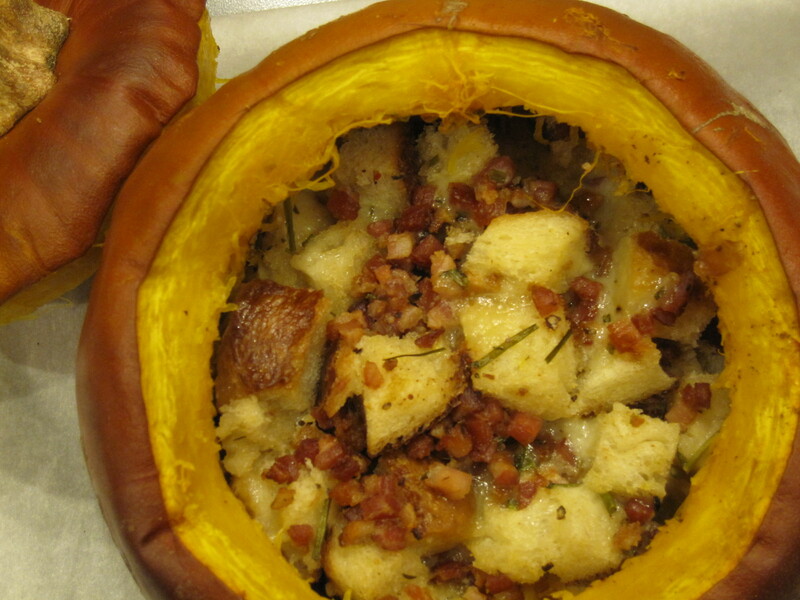 Her basic stuffing recipe includes cheese, stale bread cubes, fresh thyme and chives, bacon, and heavy cream seasoned with nutmeg. I used a combination of cheddar and Guyere cheese, and subbed pancetta for the bacon. But she suggests a multitude of variations in her side notes such as using sausage or nuts or dried fruits. My plan is to stuff one or two pumpkins with Thanksgiving stuffing — the flavor will be outstanding and oh how festive it will look on the buffet. The method is simple – you carve a top just as you would for carving a pumpkin. Then you clean out the strings and seeds – this is the only time-consuming part of the process. Save the seeds to toast with some olive oil, salt, pepper, and garlic powder – a great snack. 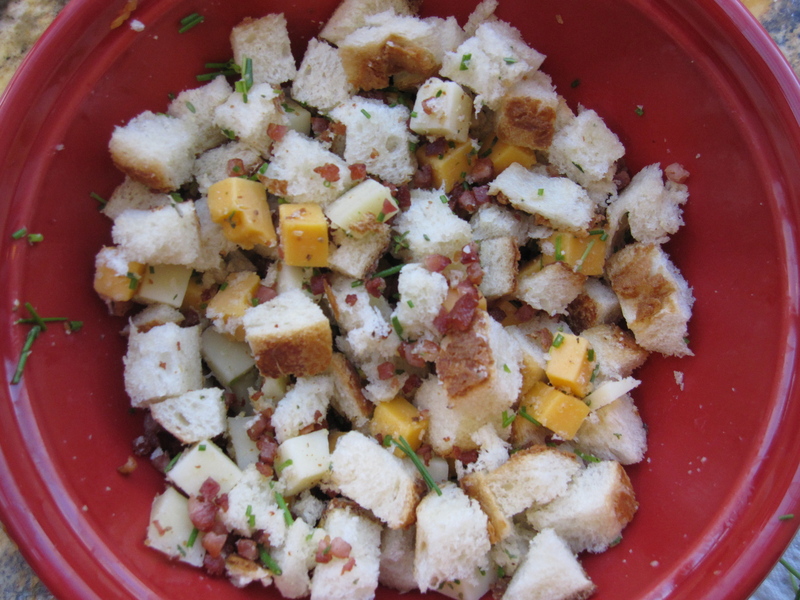 For the stuffing, you mix together the bread cubes, cheese, crisp bacon or pancetta, thyme, chives, and garlic. Put the stuffing in the pumpkin, then pour nutmeg-spiced cream over it, put the pumpkin top on, and place in the oven to bake for about 2 hours. For a vegetarian version, just leave out the bacon – possibly adding in pecans instead. The result was satisfying for a main course or would have been (and will be) excellent alongside a poultry dish. 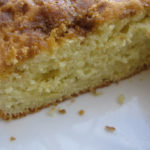 To read more experiences with this recipe, check out the French Fridays with Dorie web site and buy Dorie Greenspan’s award-winning cookbook Around My French Table. You will cherish the purchase and learn from each recipe and story that she shares. 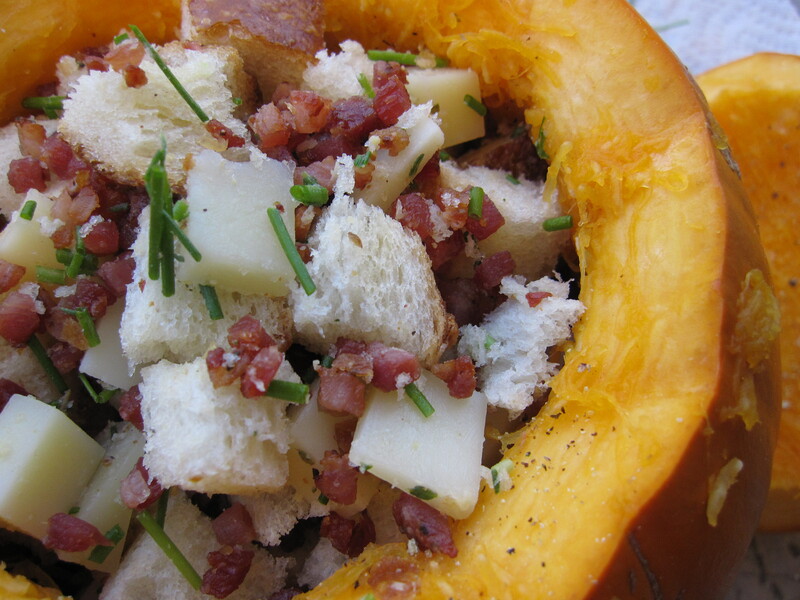 Other than pie, what’s your favorite way to eat pumpkin in the fall? Please share your stories in the comments below! Yummm!!! Oh that looks good! We love this technique. 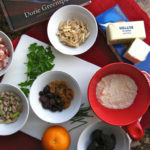 We wrote about Dori’s recipe last year when we heard her describe it on NPR’s All Things Considered. This Thanksgiving we’re having dinner with friends in Oakland and offered to make the stuffing, no Stovetop stuffing here. Hopefully we’ll get the recipe up on our blog in the next day or two. What a post! My mouth is watering, Beth. Adding this to my list of recipes from the book to try this fall. And, it’s been such a treat getting to know you at the conference this weekend. And you too! What an extra special benefit of attending. Hope we can cook in the same kitchen sometime soon and I expect pictures and moment by moment details of your upcoming New York cookie exchange with Dorie!! OMG that looks so yummy. I’m almost disappointed I won’t be cooking Thanksgiving this year (we’re taking a year off & going on a cruise). I’m excited to see what the ship does for Thanksgiving. But next year I will definitely be putting my stuffing in a pumpkin!!! So, on eyear, I was absolutely intent on making individual pumpkin souffles for dessert. I tried a number of recipes ahead of time and settled on one, even though I had had a little trouble getting the timing down (it took a lot longer than the recipe stated). I thought I’d figured out the problem. So I had everything worked out and timed out so that I could just pop them in half way through dinner and they would be perfect. But no. An HOUR later they were served. I was horrified as my guests wandered around, waiting. Still not quite the consistency I wanted, but they tasted good. Someday I’ll figure it out and make it work!! Pumpkin souffles for a crowd – you are brave my dear. 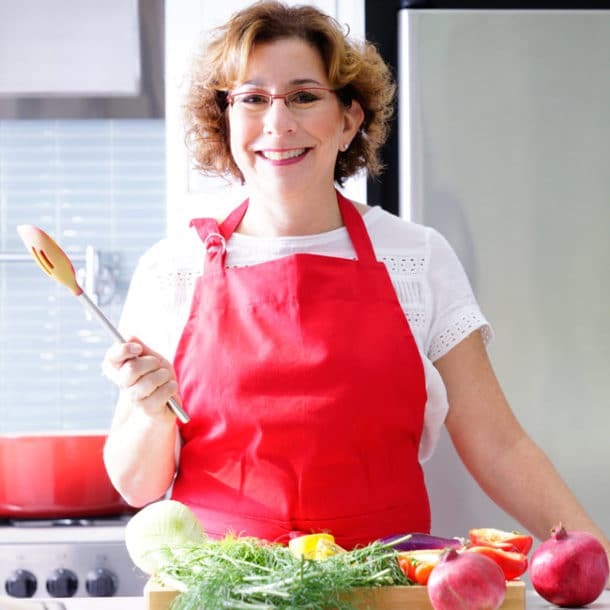 I knew you were a hidden foodie – next trip to New York (or you to California) we cook together! your stuffing looks great! Glad you liked this one, I wasnt crazy about this one… 🙂 but the rice stuffing I used was pretty great! 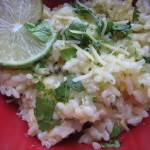 Your rice stuffing does look yummy – almost like risotto in a pumpkin! 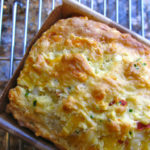 The photos make the recipe even more mouth watering! Oh to have a cook (and a maid and a chauffer), but this just might be something I can actually do and definitely enjoy! 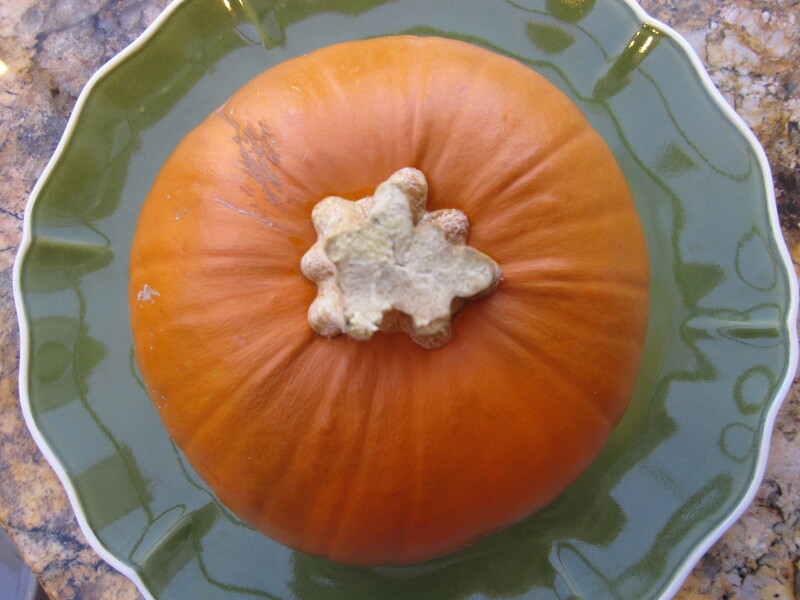 If you’ve ever carved a pumpkin and know how to clean it, you can do this. The rest is so easy, really. Beautiful photos. It looks so absolutely delicious. Thank you so much for stopping by on my SITS Day. I appreciate it. You’re welcome. How could I not visit a site that is named after my life – organized chaos! 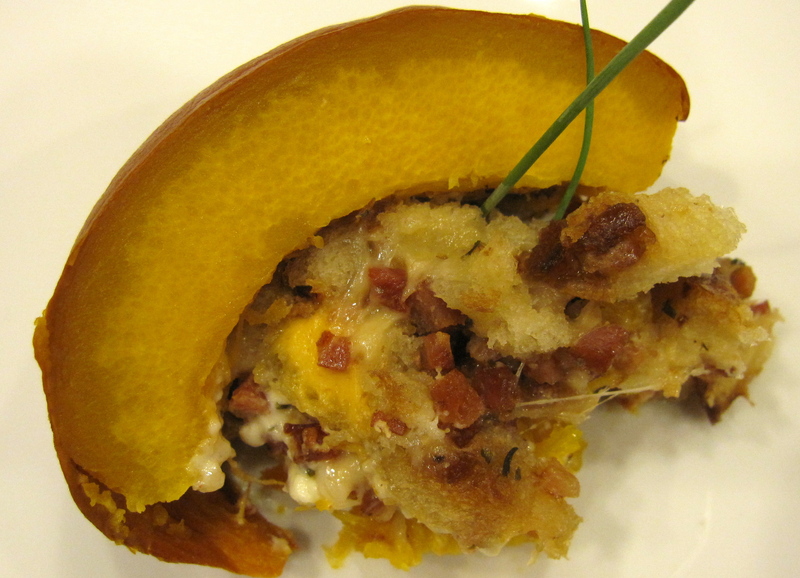 I like the last “beauty shot” of the pumpkin wedge. This was such a great versatile dish – I have a feeling it is going to pop up on a lot of holiday tables this year. I agree and I am anxious to see how it is with my stuffing and also varying the other ingredients. Think it will be a showstopper. I made it a French Saturday this week as well. 🙂 Yours looks wonderful. 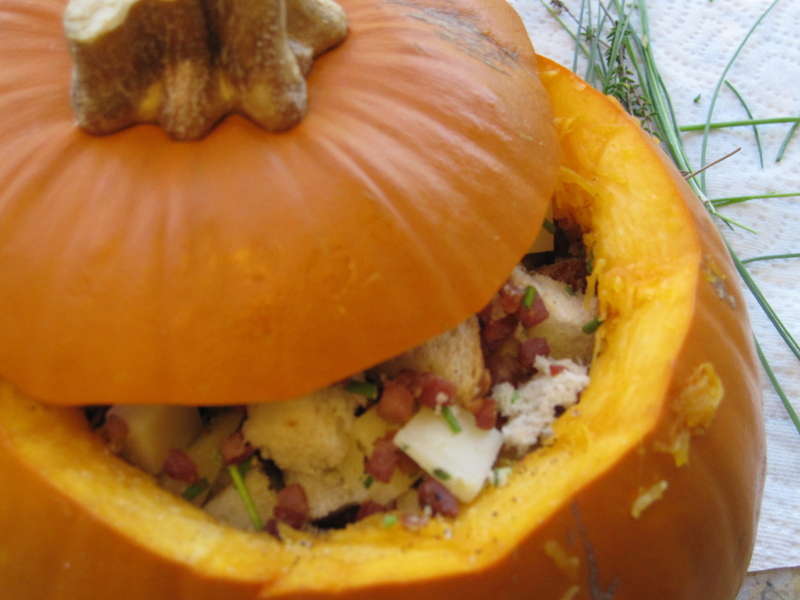 We loved this so much and I definitely want to make it for Thanksgiving this year. So good to see there is a band of us Saturday folks :-). There is power in numbers right? Yes, this is definitely going on the Thanksgiving table. Can’t wait. Excellent photos! Love that you do French Fridays with Dorie on Saturday – after all it’s the weekend and the one time most people can spend time cooking and sharing! Thanks Richard! 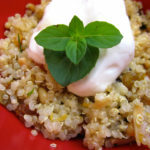 Could easily be made gluten-free as well by subbing rice for the bread! certainly different and a very novel way to serve the dressing for the thanksgiving dinner. I will look forward to admiring it and then eating it. It will look great next to your fantastic green bean casserole!